Without clearly defined goals, it’s very likely you’re performing daily acts of trivia. Once I fully understood the reality of this statement, I took the time to define my goals, write them down and review them daily. Do you have plans and goals for your life? You probably do. However, if they’re not written down, then all you have are dreams. When you write down your goals, you set off a chain reaction that helps you to, not only improve your productivity and focus, but also significantly improve your life. Goal Setting is the process of identifying very specific and measurable objectives – what you want, and when you want it. 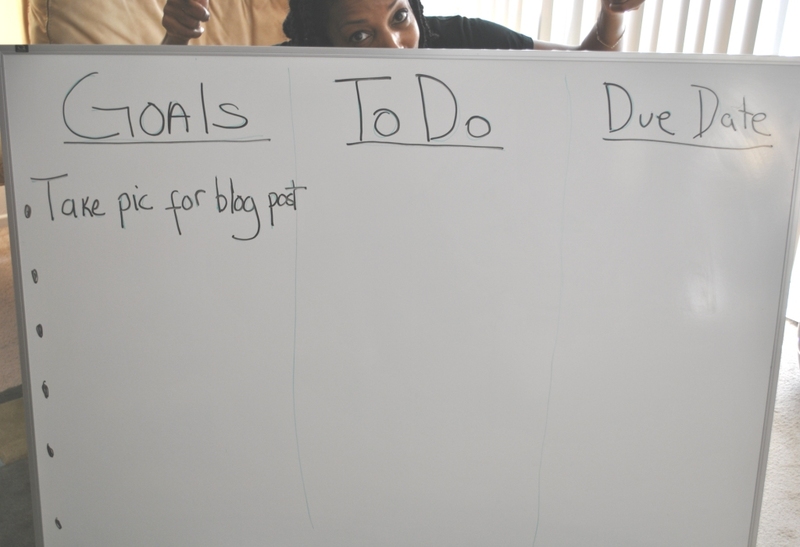 We often hear about the importance of writing down our goals and making sure they are SMART. You may be reluctant to write them down because you believe you already know what they are. For a very long time I didn’t believe in the benefits of writing down my goals. I assumed enough to simply know them. Not true. These improvements are a big deal to someone like me who is easily distracted and entertained. Give it a try. Write down what you want for your life and include what you need to do to get it. Maintain focus and direction. Oh, and one more thing – don’t play small. Believe that you deserve what you want. Use your imagination and dream big.